Today marks the 14th anniversary of the Space Shuttle Columbia accident when the shuttle was destroyed re-entering the Earth's atmosphere at roughly 9 AM EST on February 1, 2003. 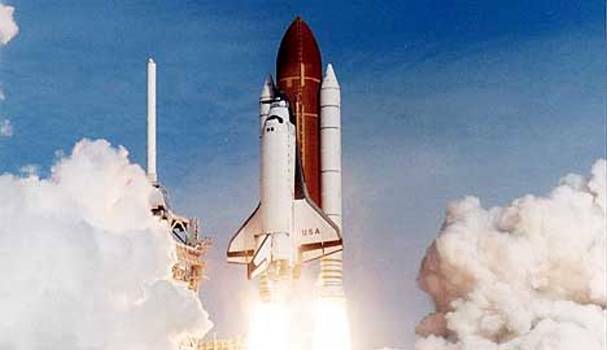 Seven astronauts were lost in the accident, including Shuttle Commander Rick Husband, Pilot William McCool, Payload Commander and Mission Specialist Michael Anderson, Mission Specialist David Brown, Mission Specialist Kalpana Chawla, Mission Specialist Laurel Clark, and Payload Specialist Ilan Ramon. The Wikipedia article cites the Columbia Accident Investigation Board in determining that a hole was punctured in the leading edge on one of Columbia's wings, made of a carbon composite. The hole had formed when a piece of insulating foam from the external fuel tank peeled off during the launch 16 days earlier and struck the shuttle's left wing. During the intense heat of re-entry, hot gases penetrated the interior of the wing, likely compromising the hydraulic system and leading to control failure of the aerosurfaces. The resulting loss of control exposed minimally protected areas of the orbiter to full-entry heating and dynamic pressures that eventually led to vehicle break up. The nearly 84,000 pieces of collected debris of the vessel are stored in a 16th floor office suite in the Vehicle Assembly Building at the Kennedy Space Center. The collection was opened to the media once and has since been open only to researchers.